Friday is here and that means it is time to share our readers' favorite Royal Caribbean photos! Each week, we invite our readers to send us photos from their past Royal Caribbean cruises to be showcased on the blog. With the weekend nearly upon us, here is this week's batch of fabulous photos! 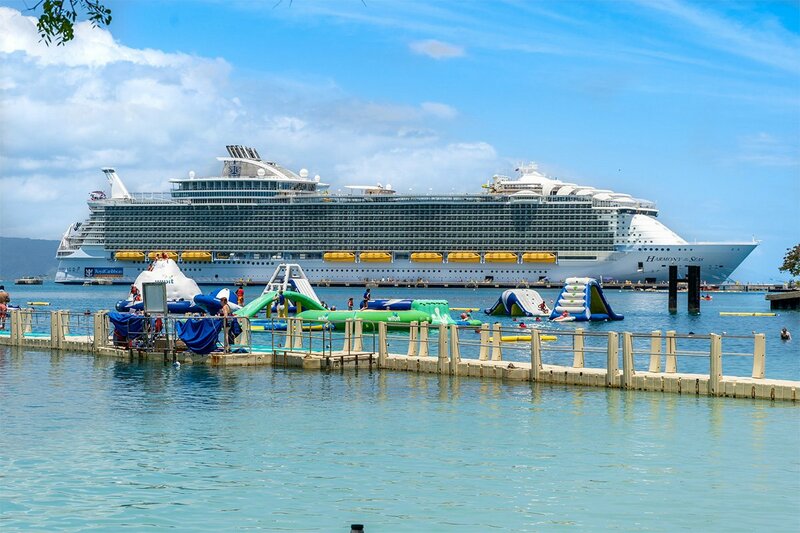 Our first photo this week is Harmony of the Seas docked in Labadee, by Mike Sperduto. Karen Chandler took this photo of Oasis of the Seas from her Beach Bungalow #3 in Columbus Cove. Check out this photo of Explorer of the Seas docked in Honolulu while on a Transpacific sailing by F1guynz. Michael Kho took this photo of Majesty of the Seas while docked in Cozumel. Rob Young snapped this picture of Freedom of the Seas docked next to Carnival Magic while in St. Maarten. A rainbow over a Royal Caribbean ship, as seen by Gwendolyn Salzman. We will wrap up this week's edition of photos with this shot by Shane Eubanks at Holland House Beach Hotel in St. Maarten, with Oasis of the Seas in the background. Thank you to everyone for their great photos, and we invite everyone reading to send in their photos too. Use this form to submit your photos to be included in an upcoming Friday Photos post!